I remember the first time I came across Margot’s name. I was looking over her resume for a role we were trying to fill at Avon. Just by scanning her resume, I was immediately impressed and thought she had the coolest experience. I liked her even more once I met her—she’s smart, witty, and fun to be around. Margot currently works in the Global Marketing division at Avon Products. Prior to her current position, she was the Director of Marketing for Kiehl’s and had also worked for La Roche Posay (one of my personal favorite brands) and studied abroad in Spain to get her MBA. I’ve been trying unsuccessfully to convince Margot to leave New York and move to California, but she’s a NYC girl through and through. In today’s Behind Beauty, Margot tells us more about how she got her start working in Beauty, as well as some of her favorite spots in New York City! Let’s start with an intro. Tell us a bit about yourself! Margot: I was born and raised in NYC, so I’m a 30-something year-old who’s just learning how to drive! My life revolves around food, family, friends, traveling and work. I love challenges, big or small – whether it’s figuring out how to optimize space in a New York studio apartment, how to get my dog’s photo onto my new Apple watch or how to overhaul an entire brand strategy. I’m all about the creative problem solving. Did I mention I have a dog!? I have a 10 year-old Yorkshire Terrier who is the love of my life and quite possibly the cutest dog that ever lived. Peggy can attest to this. I received a B.S. in Communications from Boston University and an MBA from IE Business School in Madrid, Spain. Traveling has always played a central role in my life. I sailed around the world for 4 months in college on Semester at Sea and chose Madrid for business school because I craved the adventure as much as the well-rounded education experience. What made you interested in working in beauty? Margot: To be honest, I more or less fell into the beauty industry. When I graduated from college I knew I wanted to work in marketing, but wasn’t quite sure which industry. I signed up at a temp agency to get a taste of different companies and roles. 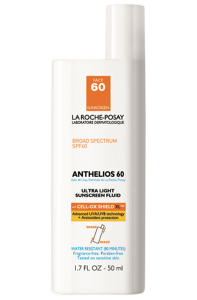 My first position was on a brand I had never heard of, called La Roche-Posay. LRP was a young brand just entering the US market so the teams were small and I was able to involve myself in the overall brand strategy more so than if I had started on a larger brand. I quickly realized that this was the start of a long career in beauty for me. It’s an industry with so much energy, passion, innovation and challenges. It keeps me on my toes and has a true purpose, which is important to me. What is it like to work on such well known brands like La Roche-Posay, Kiehl’s, and Avon? Margot: If you’re interested in the beauty industry, then you know L’Oreal. And if you know L’Oreal, you know its reputation for being one of the toughest places you’ll ever work – and one of the most rewarding. It’s basically like a Beauty Bootcamp. I grew up there career-wise and I’m happy it’s where I landed. 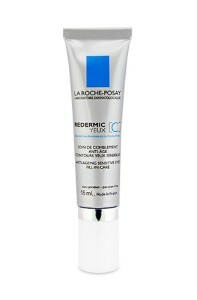 While La Roche-Posay is a well-known brand internationally, we were just introducing it to the US market, and only within very unique sales channels; at the time it was sold in physician offices, dermo-cosmetic skincare centers within drugstores and online. As a Brand Manager, I was responsible for implementing the launch and retail strategy – helping to adapt products to fit US consumers and carrying products from concept to shelf. Even now, when I walk by the aisle of La Roche-Posay products, I feel like the products are all my little babies sitting there on those shelves. I’m proud of the brand and very happy to have played a part in its success. Kiehl’s was an entirely different experience because of the free-standing store retail environment. With ownership of its stores, comes flexibility in how you market. If you had an idea, you could mock it up, get it into a store, test the concept, revise it and roll it out to all stores across the country – all in a matter of weeks. If you saw that traffic was down on Monday and Tuesday in the West Village store, you could fix it on Wednesday. It’s much more hands-on, tactical and reactionary in that way. It’s a fun place to be and allowed me to let my creative side shine. Working at Avon, where I am today, is as challenging as it is exciting. Avon is in the midst of a massive initiative to re-brand and essentially reinvent itself. Everyone, especially in the US, knows Avon as our grandmother’s brand and I am thrilled to be part of the team that’s on a mission to modernize the company. The difference between L’Oreal and Avon is what drove me to Avon in the first place: L’Oreal is a well established leader in the industry, whereas Avon has become the underdog. It has such potential, but has been struggling along the way. That challenge and the ability to build a global brand strategy from scratch, is what got me. It’s big picture marketing – and that’s what really energizes me. What do you look for when you are interviewing someone for a position on your team? Margot: I look for someone who is thoughtful, articulate, driven, passionate about the industry and not afraid of change. I look for someone who is curious about why consumers do what they do and someone who is bursting with ideas – and who can’t avoid sharing some of those ideas during the interview. Why do you think skincare is important? Margot: No one wants to age, and skincare is your best ally in that fight. It’s so important to start with a skincare regimen when you’re young. It’s like saving for retirement. You won’t see the benefits for years and years to come, but if you start at a young age, you’ll be 10 steps ahead of everyone else. Skincare keeps you young. It keeps you fresh, happy, vibrant and alive. It’s crazy how your morning, your day, your life actually changes with the right skincare routine. To me, the two most important things you can do for your skin every day are a) wear a moisturizer and b) wear sunscreen. Of course the toners and the serums of the world will only add benefits, but if you do nothing else on a lazy Sunday morning – moisturize and protect! What are some of your personal favorite brands or products? Margot: Skinceuticals LHA Cleanser, La Roche-Posay Redermic C, La Roch-Posay Anthelios Ultra Light Sunscreen Fluid SPF 60. Oribe Dry Texturizing Spray. Kiehl’s Midnight Recovery Concentrate. Armani Luminous Silk Foundation. Benefit Gimme Brow Eyebrow Gel. Clinique Chubby Stick. So, we know that beauty companies make a lot of claims—how can you tell if a product is really good or just marketing “fluff”? Margot: Well, the thing about beauty, especially skincare, is that it takes time. So I tend to be skeptical about claims that speak to results in a matter of days. We all know from our teenage years that those acne treatments did not “zap” our pimples in a day! So why should we think wrinkles will be gone in a week? I tend to focus on ingredient stories, reasons to believe and results that seem plausible. It’s not about magic, it’s about maintenance. What advice do you have for someone who wants to work in beauty? Margot: Get out there. Get in stores, try products, be curious. Understand the landscape and try to pick out a few brands that interest you and follow them on their journeys. What are they doing right? What are they doing wrong? What would you do differently? I also think the best thing you can do is meet with people. Friends, friends of friends, strangers on LinkedIn. One of the great things about this industry is how close-knit it is. Everyone knows everyone and networking is key. So just reach out to someone and offer to buy someone coffee while you pick their brain. You’ll learn so much, you’ll get great advice and you may even make some useful connections and friends along the way. Last but not least, here is a list of places in NYC that Margot personally recommends for food, drink, and fun. Brooklyn Bagel – THE best bagel you’ll ever have. Don’t listen to anyone else. Greecologies – they have the best outdoor space to enjoy a cup of coffee near SoHo. Willy Wall – barge in the Hudson. Favorite place for drinks in the summer. Shop Margot’s Beauty Favorites Below!